While I was down at the Capitol on Monday, I happened to catch up with my Senator for a few moments as he was taking photographs with some students participating in the Legislative Page program. …because that’s what he does if you happen to be walking with him around that historic building! Anyway, while he was assuming the role of Capitol tour guide, I happened to notice a few pieces of paper lying on his otherwise very clean, first day of session desk! 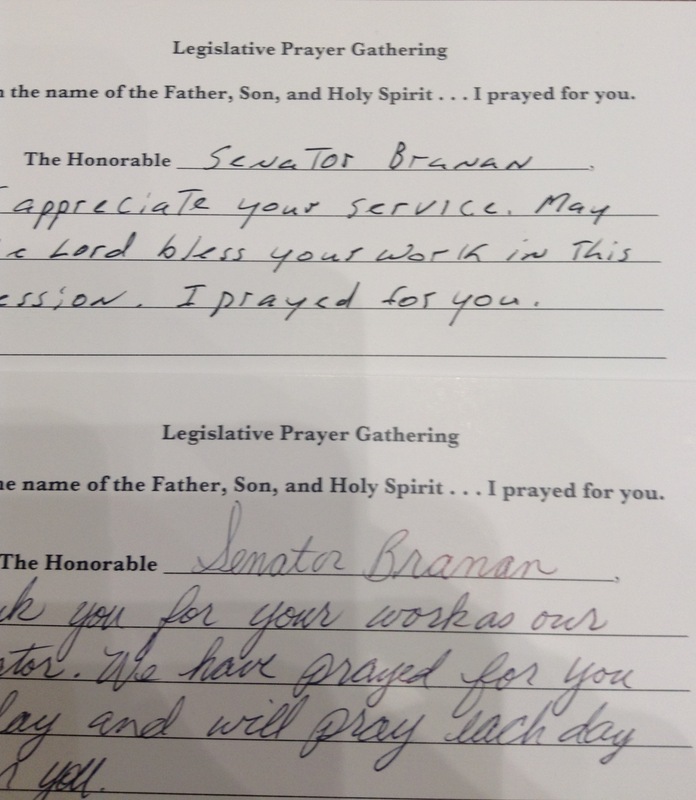 And, because I was nosey, or just curious, I started to read them and quickly noticed they were from the Senator’s constituents letting him know they had prayed for him on Sunday. Wow. This touched my heart. Usually, the Senator has brought these pieces of paper with prayers on them home to share with us, but to see them lying on his desk in real time truly moved me. 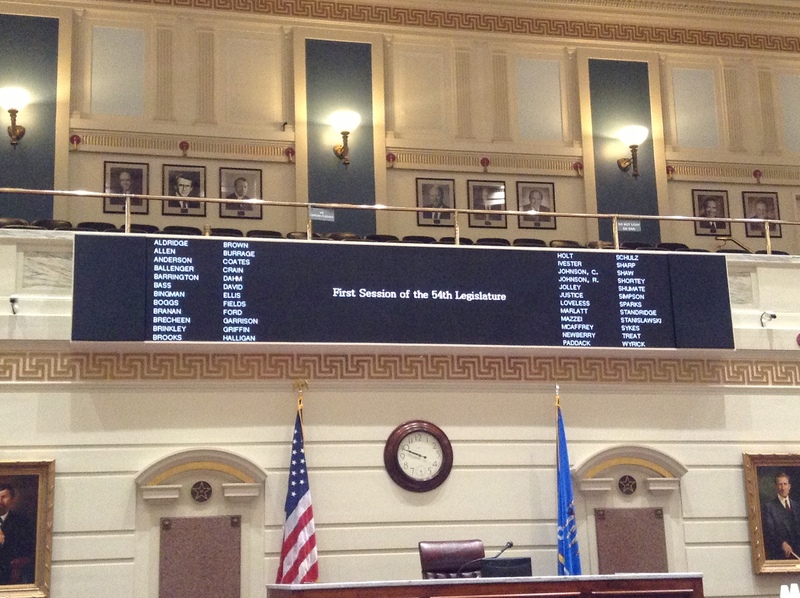 To think that someone, a stranger perhaps, had taken time out of their busy day to come to the Capitol…walk in his shoes, sit at his desk and pray for him….meant so much to me, and to him and we thank you for that.